If you are still not knowing FnF (Flexible Netflow) technology, probably your Netflow knowledge did not get updated for last a couple of years. 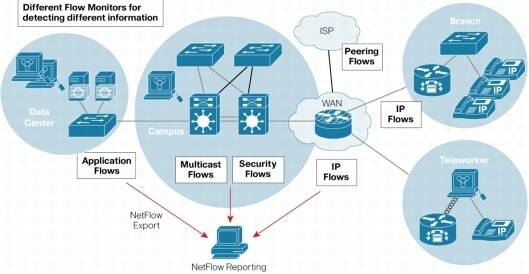 Basically Flexible Netflow allows user to decide which information you want to export through Netflow. 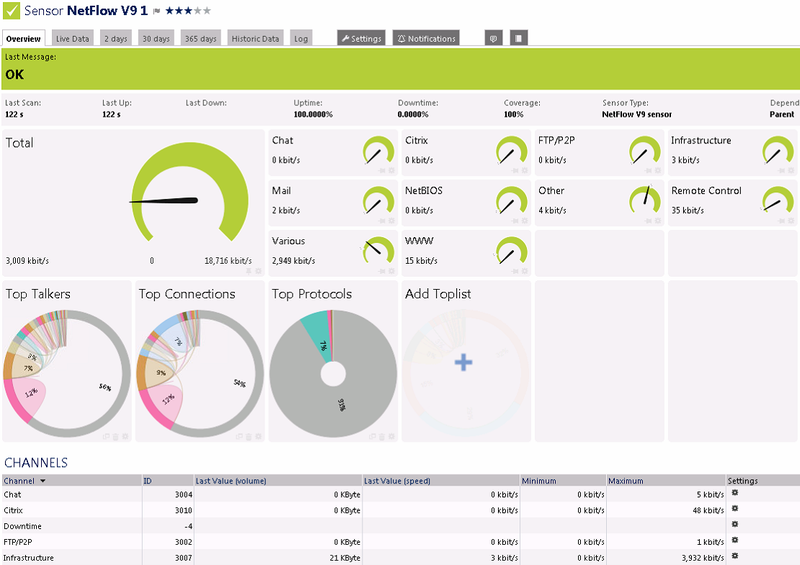 It is extension of Netflow v9. For more information, I would suggest to read some of reference websites first at the end of this post. This post will only focus on the configuration in the real environment with Cisco 4510 and how it will be used in PRTG - this powerful and & easy network monitoring tool. As shown in the following diagrams, different flows will be defined for detecting different information and used for different purpose. Flexible NetFlow can track a wide range of packet information for Layer2, IPv4, IPv6 Flows. Cisco IOS-XE software, Copyright (c) 2005-2013 by cisco Systems, Inc.All rights reserved. Certain components of Cisco IOS-XE software arelicensed under the GNU General Public License ("GPL") Version 2.0. Thesoftware code licensed under GPL Version 2.0 is free software that comeswith ABSOLUTELY NO WARRANTY. You can redistribute and/or modify suchGPL code under the terms of GPL Version 2.0. For more details, see thedocumentation or "License Notice" file accompanying the IOS-XE software,or the applicable URL provided on the flyer accompanying the IOS-XEsoftware. cisco WS-C4510R+E (P5040) processor (revision 2) with 4194304K bytes of physical memory.Processor board ID FXS1749Q1VP5040 CPU at 2.2GHz, Supervisor 8-ELast reset from Reload17 Virtual Ethernet interfaces336 Gigabit Ethernet interfaces20 Ten Gigabit Ethernet interfaces511K bytes of non-volatile configuration memory. This simple sample will configure traditional NetFlow export using the new Flexible NetFlow CLI. The user will create the Flow Monitor and attaches the Flow Record and Flow Exporter to the Flow Monitor. 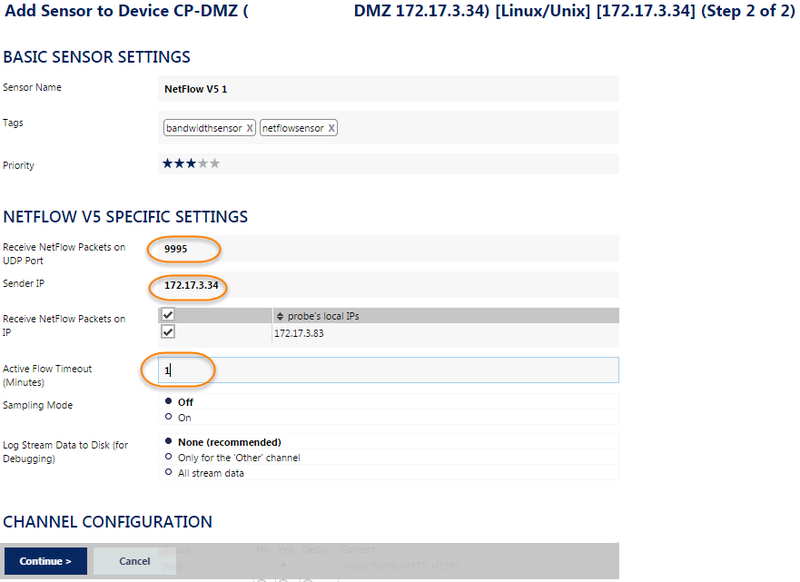 This Step is same as my previous post "Configure Netflow on network devices for PRTG Netflow Monitoring"
Add a new Sensor at this Switch Device and put Vlan 1 ip address into Sendor IP. Receive NetFlow Packets on UDP port is 9995. 1. The Flexible NetFlow in Cisco 4500 requires you to configure your own “record” since there are no predefined ones available like in some other IOS. 2. Interface Flow monitor output does not support on Cisco 4500 switch yet. This feature is only available if the NetFlow Services Card (WS-F4531) is present. The modules can be viewed by executing the “show module” command. Is there a reason for duplicating the TCP source and destination ports in the flow record? Are you talking about following configuration?